Hundreds of thousands of cats roam the streets of Istanbul, neither wild nor tame. This is the story of seven of them. For millennia, cats have roamed the city of Istanbul. Granted freedom and respect, they wander in and out of peoples lives, an essential part of this rich and proud city. 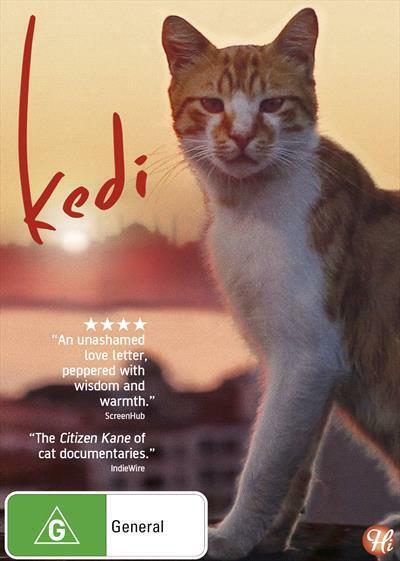 ‘Kedi’ is the Turkish word for cat and an ideal title for this documentary by director Ceyda Torun, which focuses on the cats of Istanbul. Thousands of cats roam the city streets; one of the strengths of this film is that it focuses on just seven of them. These cats are presented to us as seven distinct personalities, each with their own story and purpose. There is Sari, who must hustle food for her young kittens; the affectionate Bengü; the temperamental Psikopat; Deniz, who hangs around one of the local markets; Aslan Parcasi, who earns his way by keeping a restaurant free of rodents, and Duman (my personal favourite), who patiently waits outside a cafe for his gourmet cheese and turkey. And finally, there’s Gamsiz, who is always looking to protect his territory from new arrivals. Filmed with a special camera rig which follows the subjects at ‘cat-eye level’, we get to experience how they see the spaces around them: the dangers, the temptations and their fellow felines. The other main character of Kedi is Istanbul and its people. The cats are dependent on their surroundings and Kedi is primarily concerned with the way the cats adapt and interact with their environment. We see routines of both the cats and the people who care for and love them – and from this, we get a real sense of what each offers the other. Kedi is a beautiful, life-affirming film and there are also some fabulous laughs along the way (if there was a cat TV reality show, Psikopat would be the star). When I saw this film at the cinema, the audience was incredibly responsive and it is a definite crowd-pleaser. I highly recommend it to any cat- or animal-lover, but also to anyone who appreciates the documentary art-form.